Whether the cause of your muddy yard is a rainy climate or a couple of active dogs, there are ways to get the situation under control so you can enjoy your lawn again. With a little creative landscaping, you can prevent excess water from pooling where you don’t want it and create space for walking, playing or socializing. Often enough, the root cause of a muddy lawn is nothing more than poor drainage. The next time it rains, take a look at the water leaving your downspouts. Does it flow into a drainage pipe that carries the water away from your lawn or does it spill out over the grass and create a muddy area? If the rain runoff is ruining your yard, first check that the ends of the downspouts extend at least 6 feet past your foundation. If possible, direct the downspouts toward a ditch, pond or other low-lying area outside the lawn. Make sure these drainage areas are clear of vegetation and debris so they can handle the runoff. The slope of your lawn is another possible cause of mud accumulation. A lawn that’s level or slightly lower in the middle is bound to collect water. To correct this, re-grade your lawn so that it slopes at a rate of at least two percent, or 1/4 inch per foot, away from your house. This encourages rainwater to flow off the lawn. The simplest way to re-grade your lawn is by taking topsoil from the lower side of the lawn and applying it to the upper side. Over time, even a well-maintained lawn develops thatch. This is a layer of dead grass, roots, and debris that forms between the green grass and the soil surface. Once the thatch reaches 1/2 inch thick, it can prevent the soil from absorbing water. 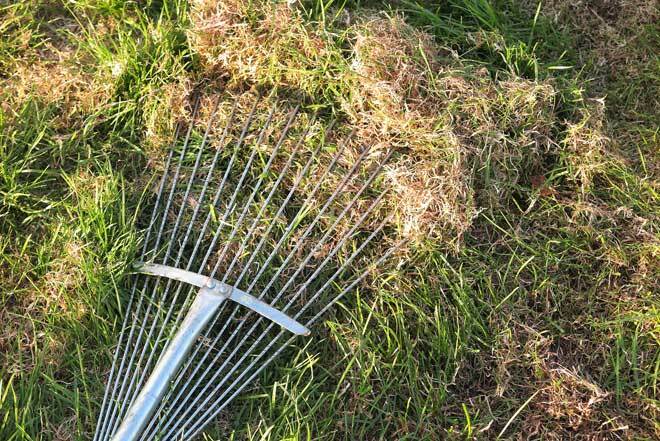 To solve this problem, dethatch your lawn once a year. The easiest and least damaging way to do this is with a lawn aerator. This machine digs small holes into the ground to loosen compacted soil, allowing for better drainage. Alternatively, you can use a convex rake or a power rake to comb through the grass and break up debris. When you’re done, rake the lawn again to remove any debris kicked up. If your lawn is currently a muddy mess and you just want to control it until you can replant, add a deep layer of mulch. This will hold the mud down while also adding beneficial organic matter. Straw works particularly well for this purpose. 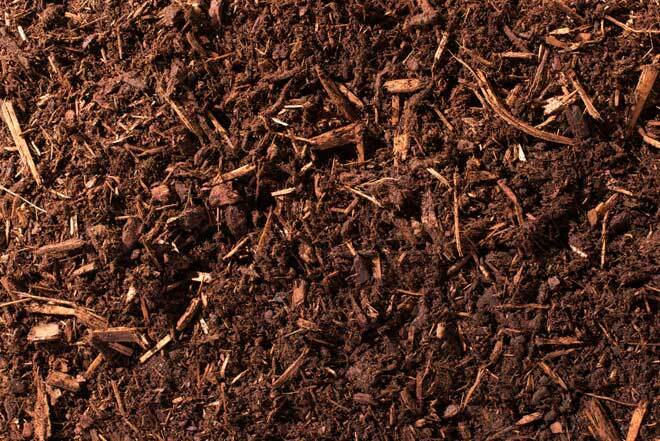 Because mulch breaks down quickly, though, consider working other material, such as peat moss or sand, into the soil before you replant. Adding compost can also help. Use a digging fork or rototiller to work your chosen amendments into the soil. These loose materials improve the soil’s drainage, so rainwater won’t pool on the surface of your yard. If poor drainage was the main cause of mud buildup, this step might be enough to allow grass to grow in and prevent future mud problems. If you have active dogs, though, look for something tougher than grass, such as clover, silver carpet (Dymondia margaretae), Irish moss (Sagina subulata) or winter creeper (Euonymus fortunei). As a plus, clover is less likely to sustain damage from dog urine compared to most common lawn grass species. 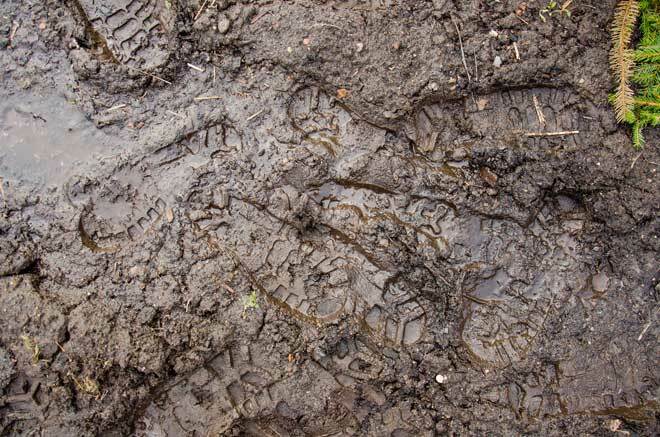 In very wet, marshy areas, some muddy spots in the yard may be unavoidable. That doesn’t mean you can’t still use that part of the yard, though. Adding a new hardscaping feature will let you reclaim the muddy area while also improving the overall appearance and utility of your landscape. 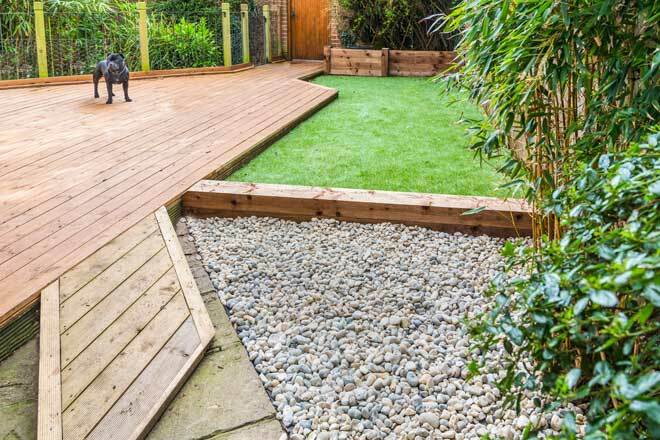 If the muddy section connects two parts of your property, build a path of a material that won’t turn to mud, such as gravel over landscape fabric or flagstone. A wooden boardwalk will keep your feet dry in even the soggiest of landscapes, and it’s easier to build than a concrete walkway. For a muddy spot that’s beside the house, consider building a patio. If the mud is in an area you’d like to use for seating or as children’s play zone, install a gazebo or paved lounge area. Is there a muddy spot in your lawn where your dogs love to dig and just won’t leave alone? If so, hardscaping is most likely the best way to keep them out. The simplest solution is to pave the area, then surround it with large, tough, salt-tolerant plants. In a rainy climate, learning to work with the wet environment is often the most practical way to deal with a muddy lawn. If part of your landscape is too wet to support grass, convert the area into a rain garden full of water-tolerant plants. You can also use your rain garden as a safe place to channel water from your downspouts. However you use it, make sure the spot you choose is at least 10 feet away from your foundation. Divide your rain garden into three zones: a wet zone at the bottom, a middle zone, and a transition zone near lawn edge. 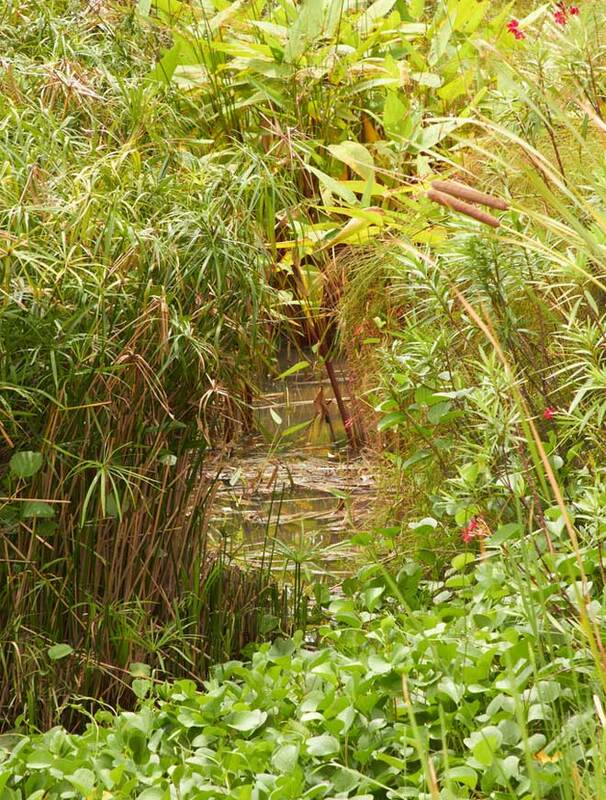 Then choose plant species for each zone based on their tolerance of water. 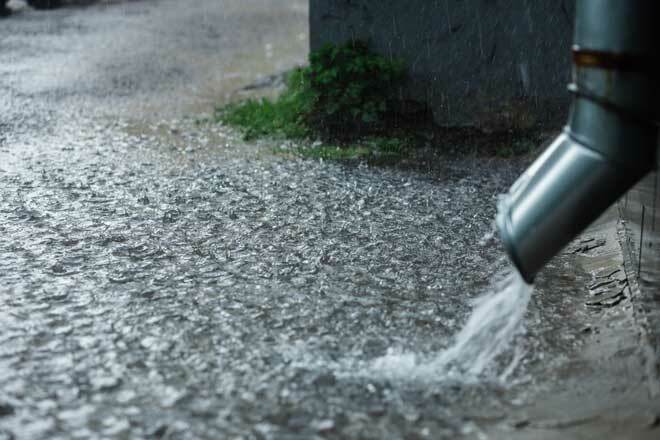 For example, many plants, including elderberry (Sambucus), swamp rose (Rosa palustris), blue vervain (Verbena hastata), and goldenrod (Solidago), can live happily in up to 6 inches of standing water for limited periods, making them good choices for the wet zone. If you have clay or other heavy soil, amend it with added sand and organic matter to improve the drainage before you plant. In a lawn with severely poor drainage, re-working the soil and planting ground covers may not be enough to stop the mud from forming. In this case, installing a French drain is a better option. A French drain is a trench filled with rock, gravel or another coarse material with a perforated drain pipe at the bottom. Water flows faster through gravel than through soil, the runoff from your lawn will reach the drain quickly. The water then drains away without causing issues on the soil surface. Install the drain at the lowest side of your yard. If your yard is flat, considering re-grading it to encourage water runoff to flow toward the drain. 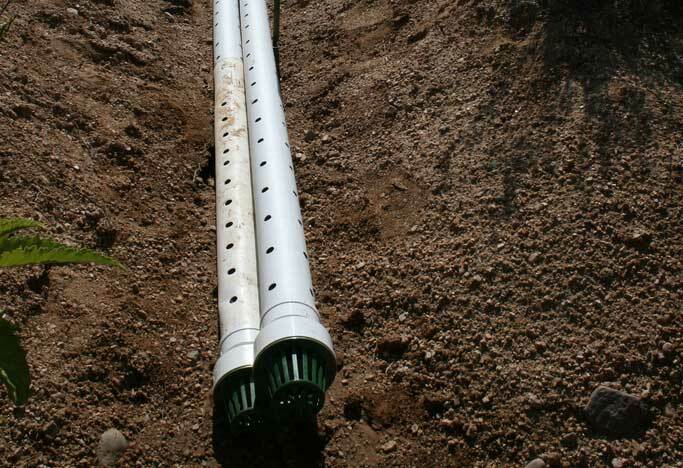 The standard French drain is 6 inches wide and 18 to 25 inches deep with a 4-inch perforated pipe centered at the bottom. The trench is backfilled first with a 12-inch layer of coarse gravel, followed by a layer of landscape fabric, then another layer of gravel. A muddy yard can feel like nothing but a big, frustrating mess, but with a little imagination and effort, it can become an opportunity to make your landscape better than ever. Whether you choose simple soil amendments and re-grading or invest in new ground covers and hardscaping features, you can reclaim your muddy lawn within weeks.